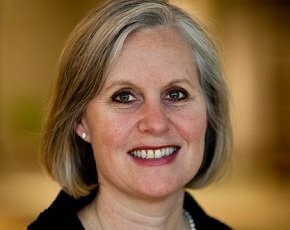 Former CIO of Thomson Reuters, Jane Moran, has joined Unilever as global CIO. Moran joined Thomson Reuters in 2004 and worked her way up to global CIO in 2010. She has replaced Willem Eelman who held the position at Unilever for over four years. During his time at Unilever, Eelman led the consumer goods giant through a major global IT transformation, which included one of the largest SAP implementations in the world. He also saw the company embrace social media and the web to promote its household-name brands. Both Eelman and Moran have both appeared in Computer Weekly's list of the most influential people in UK IT in 2013 and 2012 respectively. Moran also won first place in Computer Weekly’s first most influential women in IT in 2012. She is an active promoter of women in IT and diversity in the workplace on both sides of the Atlantic, with roles in Women in Technology International, the Anita Borg Institute and the National Center for Women in Technology. During an interview in 2012, she said organisations with a better gender balance are more successful. “Companies with three-plus women on the board make more money. The metrics bare out – diversity leads to more creative, innovative environments." Once in an IT career, women are more prone than men to dropping out, which is bad for companies as it leads to a significant loss of knowledge, she said.